Netflix is bringing back its kid-centric countdowns for parents who want their children out of sight long before they ring in the New Year. Netflix claims most parents fool their kids (or try to, anyway) into believing that midnight happens earlier than it actually does on New Year’s. Netflix helps them by offering a streaming three-minute countdown led by characters from kid’s show. Ring in the new year whenever you want, with six different short videos featuring characters from kids’ shows. Each one is about 2 minutes long and ends with the 10-second countdown to the new year. Pull it up on the screen at 8pm, and hustle your toddler off to bed before your game night (at least, that’s how I’m celebrating New Year’s Eve). Your options are: Care Bears, Inspector Gadget, Peabody and Sherman, King Julien, Project Mc², and Puffin Rock. Celebrate 2016 on your time! 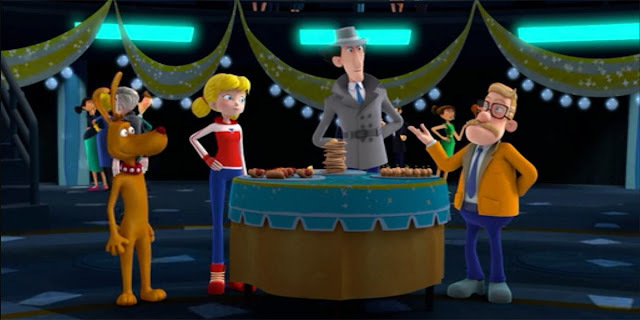 Talon tries to ruin the New Year's party, but Inspector Gadget, Penny and Brain leap into action to save the surprise. Another thing revealed by FlixSearch fascinates me a bit: The short is available on Netflix not only in the United States, but also in Canada, the UK, Ireland, Mexico, Argentina, Colombia, Australia and New Zealand. All the while the regular series is still only seen in the US. It seems this New Year's short is targeted not only towards users of the American Netflix, but also toward people who may have watched the new Gadget series on TV channels like Boomerang or Teletoon in the above-mentioned list of countries. At any rate, what does all this tell us? 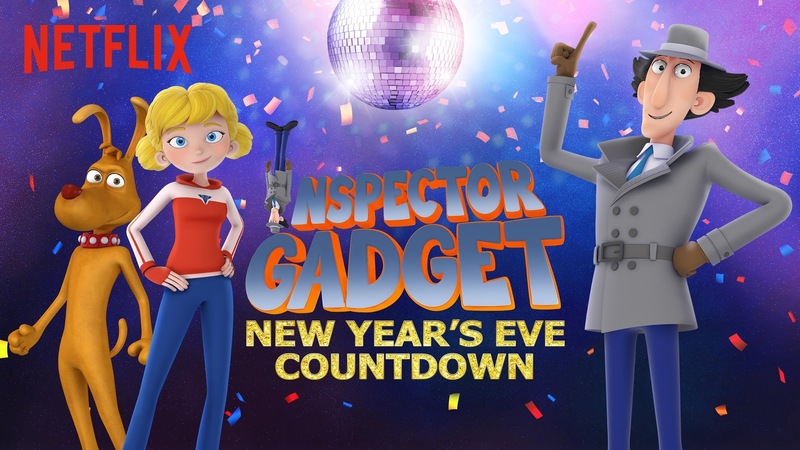 Firstly, it feels like a pretty solid indicator that the new Inspector Gadget is a hit on Netflix in the States: this short was by all accounts commissioned directly by Netflix, unlike the regular series; and Gadget is one of six kids' shows selected to ring in the new year. Secondly, "New Year's Eve Countdown" is probably the first true "bonus material" to emerge from the reboot. It's not part of the 26 half-hours of the regular TV series in any way, nor a trailer or a teaser. Whether it will be released through other venues than Netflix remains to be seen. It would certainly be nice to see it as a special feature on Universal's Australian DVD and VOD releases (Season 1 Volume 4 is still slated for January 14 next year), but I wouldn't hold my breath. For one thing, it probably depends on how exclusive Netflix's rights are to this specific short -- and my guess is they may be more exclusive than the TV series.